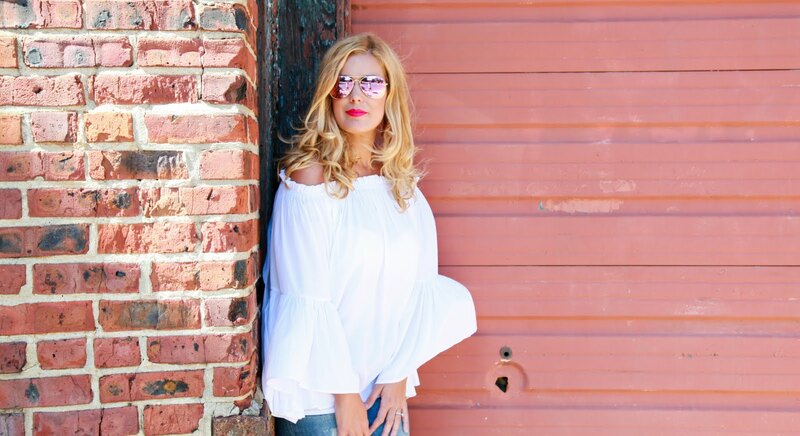 Fashion Maven... Mommy: Maskcara Beauty - What's New! Maskcara Beauty - What's New! First, Maskcara's new packaging is seriously giving me life! Seemingly inspired by nature, each individual product tin will have you wanting to DIY some sort of art because they're way too pretty to just toss away! The two new compacts are gorgeous too... i have the boho patterned leather but just ordered the classic brown leather compact also to house the rest of my growing collection of Maskcara beauties! 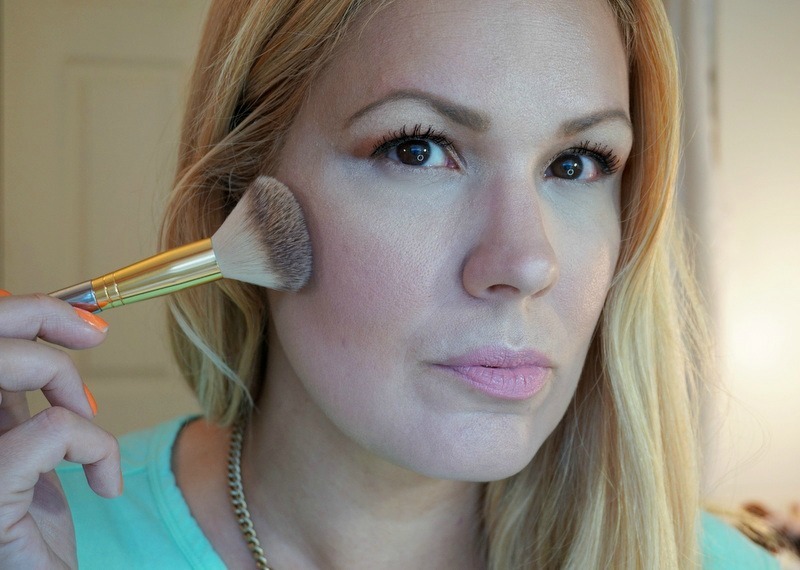 The 30 Second HAC Brush is a serious must-have tool for achieving a flawless finish! One side is shaped to precisely fit in the contours of the face. The other side is coned to smooth beneath the eyes, down the nose and on the chin. This brush feels incredibly luxurious and sturdy. The tightly packed bristles make for a seamless application. 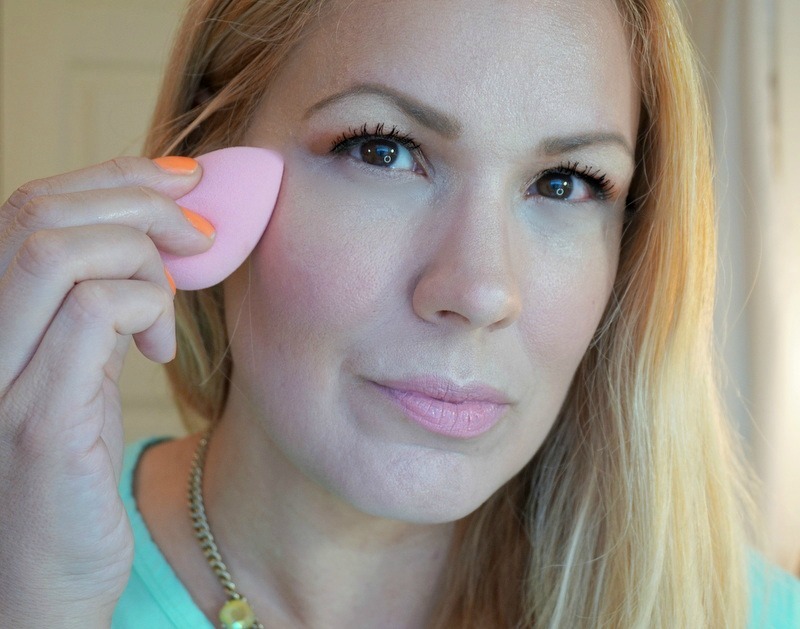 The IIID Perfector is an amazing sponge that blends makeup to absolute perfection. This powerhouse doubles its size when damp to create a smooth and soft finish without soaking up your product... phew! Oh and also noteworthy, this beauty is latex free! Thank you Maskcara! I'm going to walk you through the shades i have and while i realize it might be silly to swatch these on my hand considering my face is a completely different shade, i felt it may be helpful when considering your color choices. While these shades pretty much speak for themselves, i must chime in and tell share a few of my favorites! The blush in Petal is sooooooo delicate and beautiful! It has this gorgeous sheen that gives my skin a wonderfully healthy glow. I'm absolutely smitten with this shade and formula. It's long wearing and looks gorgeous on the lips too! Don't you just love a killer multi-tasking product? This mommy certainly does! 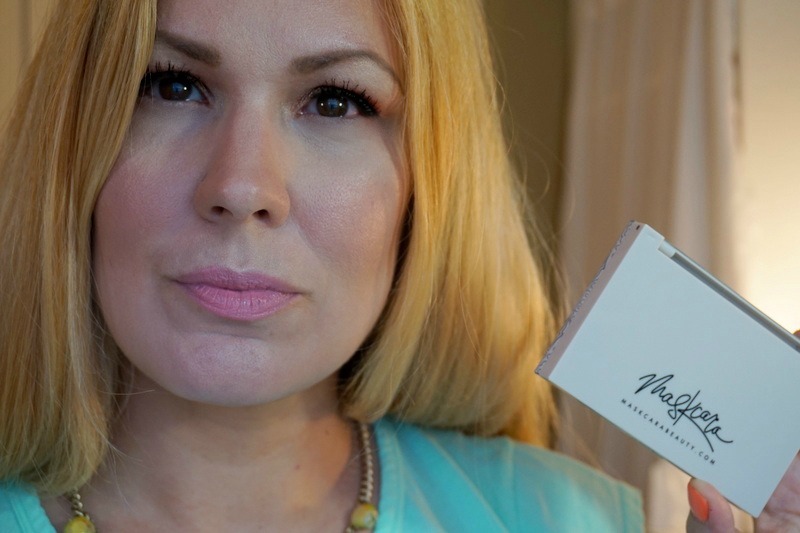 The Vanilla Dust Setting Powder was the perfect addition to the Maskcara Beauty collection. While the HAC products are creamy, they do have a powdery finish which means you can certainly wear them alone. For me however, i feel as though i need to set my under eye area or else i get some creasing. This setting powder is light while softening and blurring without the powdery look. I'm all over the Cayman Bronzer! It gives my skin the most beautiful sun kissed look minus the sun! I will be rocking this beauty big time... the color is soooo perfect for me! I can very easily say that this is right up there as one of my top 5 bronzers! It's THAT good! OK now lets put these beauties to work shall we? Here's me.... sans makeup (disclosure, i filled in my brows, added a bit of eye shadow and mascara but aside from skincare, there is nothing on my face)! Eeek sorry but i wanted you to really see what these products do for my complexion! 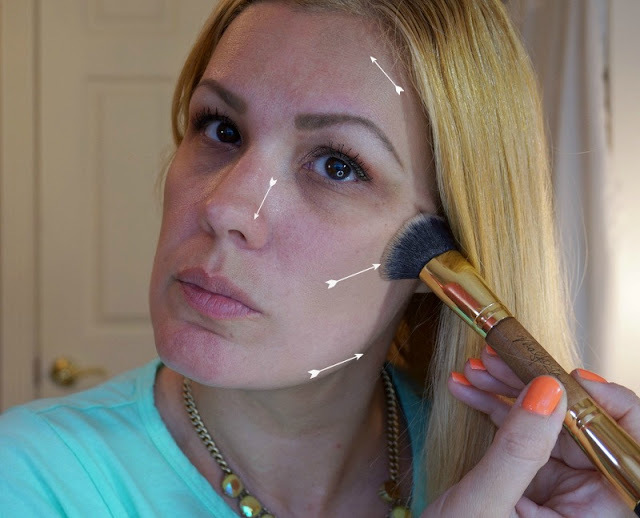 While i don't traditionally begin with my contour, i decided to follow Cara's steps to using her HAC products and so i begin by applying the contour (shade - Walnut) to the areas with the arrow. This baby gives me some major cheekbones! 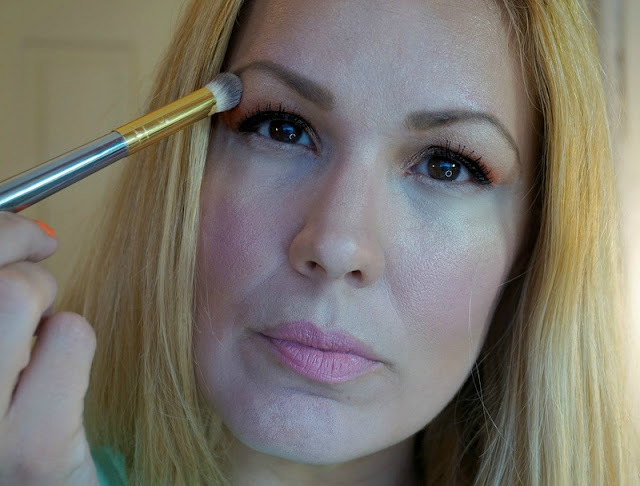 Next i apply the highlight (shade - Moonlit) under my eyes where i would normally apply my concealer as well as above my lip, chin, forehead and basically anywhere i have a bit of redness. I use the wet IIID Perfector to blend the product into the skin. This sponge is magical! Now i'm ready for my favorite step... the illuminator (shade - Honey). 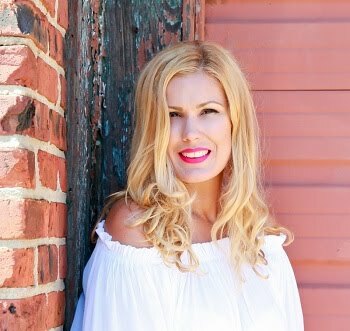 I apply it to all the areas where natural light hits my skin such as the highs of my cheeks, cupid's bow, brow bone, down the center of my nose and forehead. I set it all in with the new Vanilla Dust Setting Powder. This stuff really makes the products set seamlessly into my skin. Ok can we please talk about how GORGEOUS the blush in Petal is? It ties everything in so beautifully. I love that it gives my skin such a beautiful dewy finish! Dab some on your lips too... it's perfection really! 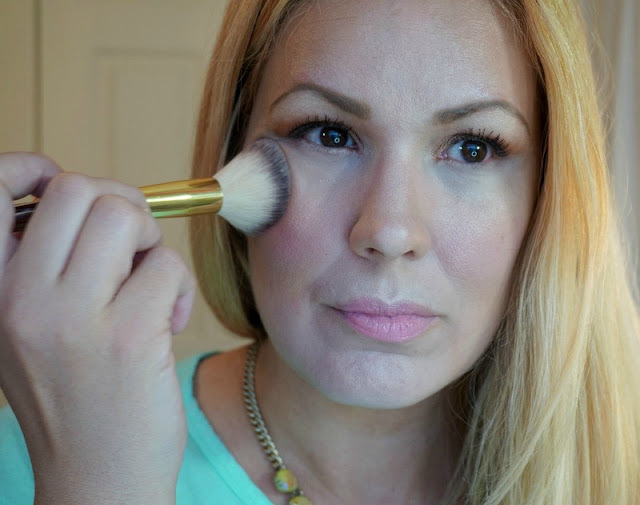 Lastly i dust a little Cayman Bronzer where i've contoured for a gorgeous sun-kissed look. I'm in LOVE with this bronzer... have i mentioned that?! I'm SO PROUD of Cara and her amazing Maskcara collection. It just keeps getting better and better! I truly hope to see this brand explode! Hello Sephora are you listening?!!! Cara's message to women everywhere is powerful one. She built this brand on the idea that makeup should be used to enhance a woman's natural features, not cover them up! I personally think she's doing a wonderful job at delivering this message via her Maskcara collection. Go purchase these products and i promise you will not regret it! If you're unsure about your shades, there is a section on the website that conveniently guides you . Oh and make sure you pick up some of her brushes... the quality is insane! 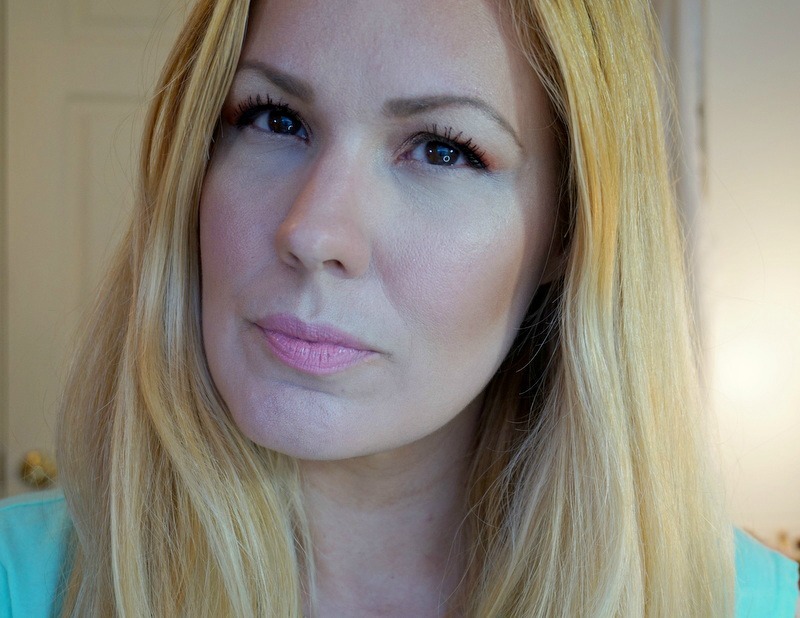 If a video review is more your thing, you can check out a previews tutorial i did on Maskcara's HAC here! *press samples - all opinions are my own based on my experience with these products. In fact, i have made several purchases from Maskcara Beauty because i'm a genuine fan!